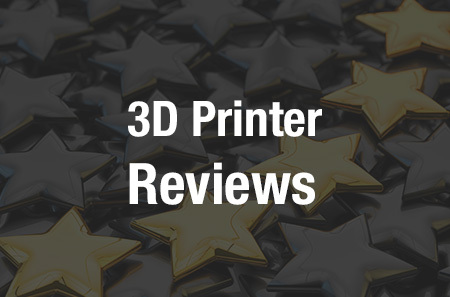 We’re talking about business, training, and events on today’s 3D Printing News Briefs. The first European 3D printing incubator will soon be inaugurated in Barcelona, and 3devo is launching training workshops about desktop filament extrusion. nScrypt’s Director of 3D Printing and a surgeon from Belfast will be presenting at upcoming events, and Arburg will display a complete turnkey system at an Italian trade fair. Finally, because we celebrate all accomplishments in our industry, we’re sharing some good news about a Xometry employee. This coming Monday, February 11th, the inauguration of the first European incubator of 3D printing – 3D Factory Incubator – will take place in Barcelona. The Minister of Science, Innovation and Universities, Pedro Duque, will chair the inauguration’s opening act. This High-Tech Business Incubator, a project led by Fundación LEITAT and El Consorci de Zona Franca de Barcelona (CZFB), is working to promote the adoption of 3D printing by creating a space to incubate related SMEs and micro-SMEs. The 600 sqm incubator space is located at CZFB’s headquarters, and will include training areas, offices, meeting rooms, laboratories, and co-working zones, in addition to a variety of services. The inauguration will begin promptly at 11 am. Dutch technology company 3devo, which creates desktop-based material development and recycling solutions such as SHR3D IT, is launching a series of hands-on training workshops all about desktop filament extrusion for professionals, which will be branded as DevoTraining. The workshops will be held at 3devo’s Utrecht headquarters, and participants can choose one of three programs: a basic, 4-hour module for €499, a 1-day intermediate workshop for €899, and a 2-day advanced level course for €1549. 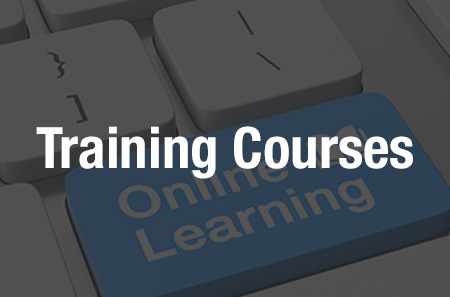 DevoTraining will be officially released next Tuesday, February 12th. Orlando, Florida-based nScrypt, which manufactures micro-dispensing and 3D printing systems, announced the release of its hybrid Factory in a Tool (FiT) integrated system for Direct Digital Manufacturing in October. nScrypt’s Director of 3D Printing, Larry (LJ) R. Holmes, Jr., is in charge of directing the company’s market participation for industrial-level 3D printing hardware, including its work with the US Department of Defense (DoD). This week, Holmes will speak about nScrypt’s 3D printed munitions, as well as its other DoD applications, on the “AM Innovation Panel: Developing the Next Generation of 3D Printing and Processes in Support of the Warfighter” in Tampa at the Military Additive Manufacturing Summit & Technology Showcase. “Our FiT platform is ideal for DoD’s 3D printing applications because it does next generation Direct Digital Manufacturing, which means no retooling to build a product or to change from printing one product to another. Just change the CAD file. Our FiT’s pick and place tool head adds actives to the prints, making them electrically functional if needed. We just delivered a Factory in a Tool to the Army’s Redstone Arsenal. It has one full meter of travel in the XY plane,” Holmes said. SXSW 2019 begins next month in Texas, and in addition to the many other innovations on display at the event, Dr. Tim Brown, Consultant Transplant Surgeon at Belfast City Hospital, will share his experience of using 3D printing to successfully perform a first of its kind, life-saving operation during a presentation titled “Tumours, Transplants and Technology: AI for Life.” His patient needed a life-saving kidney donation, and while her father was willing to donate, his kidney had a tumor on it. Together with UK medical 3D printing company axial3D and Digital Catapult, Dr. Brown used a 3D printed kidney model to safely complete the transplant surgery and save his patient’s life. axial3D won the Healthcare Application Award at the 2018 TCT Awards for creating the 3D printed model, and the company’s CEO Daniel Crawford and Operations Manager Cathy Coomber will join Dr. Brown for a panel discussion at SXSW, along with Nigel McAlpine, Immersive Technology Lead at Digital Catapult. The session will take place at SXSW on March 12th, at the JW Marriott Salon FG. At next month’s MECSPE 2019 trade fair in Italy, German machine construction company Arburg will be focusing on 3D printing, automation, and digitalization. The company will be displaying a complex turnkey system, built around a Freeformer 200-3X industrial AM system and a hydraulic Allrounder 370 S; both the Freeformer and Allrounder are networked live with the company’s ALS host computer system. In addition to displaying the system at the trade fair, Arburg will also have experts presenting their outlook on the digital future of plastics processing at Stand F49 in Hall 6. This last News Brief has nothing to do with 3D printing itself, but rather an unrelated, but still incredible, accomplishment from one of the industry’s own. On Thursday, January 24th, employees from on-demand manufacturing and 3D printing service provider Xometry gathered to watch one of their colleagues – marketer Aaron Lichtig – compete, and eventually win big, on the popular Jeopardy! game show that night. Lichtig started off at a steady pace, competing against returning champion and astrophysicist Rachel Paterno-Mahler and sales manager Nancy Rohlen, and was leading the pack with a final score of $12,400 by the end of the Double Jeopardy round. He squared off against Rohlen during Final Jeopardy with the clue, “He was the first U.K. prime minister born after Elizabeth II became queen.” While both correctly guessed the answer as Tony Blair, Lichtig’s steep lead made him the winner that night. 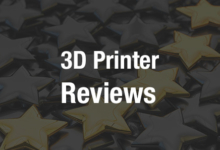 Congratulations from your friends at 3DPrint.com!